The near-ubiquitous proliferation of Internet-connected devices promises to make everyday lives easier and more enjoyable. However, if they are deployed haphazardly without thinking about the way they might intrude into people’s lives, they might also come with potential threats to user privacy. In a growing number of cases – including some involving Google Nest microphones for the home and airplane cameras found on back of passenger seats – they could be used to spy on users without their knowledge. 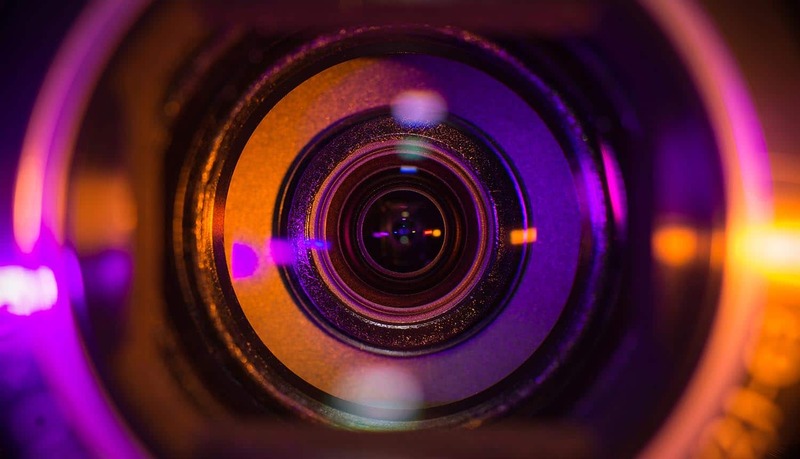 One incident that has people talking right now involves tiny cameras discovered on the backs of passenger seats in airplanes operated by some of the biggest names in the airline industry – including Singapore Airlines, American Airlines, Delta and United. One airline passenger and Twitter user, for example, discovered an “interesting sensor” (i.e. a tiny camera) staring back at him while on board of Singapore Airlines, and promptly tweeted out a photo of the interesting new discovery on social media and wondered aloud whether Singapore Air could clarify matters. As might be expected, that led to a flood of similar discoveries on other airlines as well, as people suddenly woke up to the prospect that the airlines might be spying on their customers. In each case, the airlines say that the cameras were included by the original manufacturers, and that they have never been activated or used in any way. When the original manufacturers were contacted, they explained that the cameras were a way to “future-proof” their airline customers and could be safely ignored until a brand-new use for them – such as seat-to-seat video conferencing – could be discovered for them. Features using the cameras found on the seat back of on-board flight entertainment systems, one is led to believe, would only be used to create more enjoyable flight experiences for passengers. That might be the case, but the overwhelming takeaway from the case of the mysterious airplane cameras is that nobody has really thought through all of the potential implications of having airplane cameras aboard passenger flights. Yes, the airlines might have little or no interest in watching hours of video of sleeping passengers, but what about hackers? Throw in a little facial recognition technology and the ability to track hand gestures, and hackers would have a lot of information about who’s traveling where, and when. Or, who knows? Maybe jealous spouses might find a way to use these cameras to keep an eye on a husband or wife who is always going away on mysterious “business trips” during the weekend. And airlines are hardly the only types of companies that are coming under scrutiny for strange and unexpected uses of technology. Tech giant Google recently divulged that its Nest home security devices come with a hidden microphone that – surprise! – is now compatible with its Google Assistant voice control functionality. What’s strange is that this device microphone was never mentioned in any product guides, never listed in the tech specs for the product, and never mentioned in any description of how its Google Nest devices (such as Nest Guard) might be configured to protect the home. And, just like the airlines said that the appearance of airplane cameras was an unintended accident, Google also said that the failure to disclose the presence of a microphone in its Nest Secure products was “an accident” and “an error on our part.” The Nest microphone was never intended to snoop on users. In fact, when Google announced to customers that Nest microphone technology was now available to link up with Google Home, it really didn’t expect a firestorm of controversy. After all, the thinking goes, wouldn’t it be great if your Google Nest device could listen in to detect broken glass from a window, or monitor whether thieves had smashed open a front door in order to gain access to your home while you were away? Shouldn’t all security systems come with this sort of “home away assist” functionality? However, there are serious privacy implications here when it comes to the Nest microphone. There’s a reason why many people are now cautious about placing Google Home devices in certain parts of their home – such as the bedroom. They fear that these devices might be listening in on them, and secretly recording what they are doing at all times. In theory, voice-activated devices such as Google Home and Amazon Echo should only be listening when certain voice commands have been spoken. But there have been plenty of examples when the devices were silently snooping in the background. And, in some bizarre cases, these devices have begun spontaneously laughing. So what happens when you hook up a Nest microphone and Google Home? When you take a big picture view of the situation, it’s clear that companies are not paying enough attention to user privacy when they develop any features. Yes, when contacted about these matters, companies like Google and Singapore Airlines said all the right things, but they did little to assuage user concerns that other technology might also be secretly being implemented, without their knowledge. And, as one airline passenger pointed out, why don’t the major airlines simply place a piece of black tape over their cameras? As Google Nest customers have pointed out, why didn’t Google at least make mention of the Nest microphone in the original product handbook for Nest Secure? The fact that they didn’t leaves some thinking it was intended to be a secret. Now that cameras are a standard feature on every smartphone, it’s perhaps no surprise that tech manufacturers are finding a way to include them everywhere they can. Soon, we’ll find cameras built into almost everything. The same holds true for microphones, which are now viewed as the best way to power the next era of voice-activated technology (such as voice-activated search).